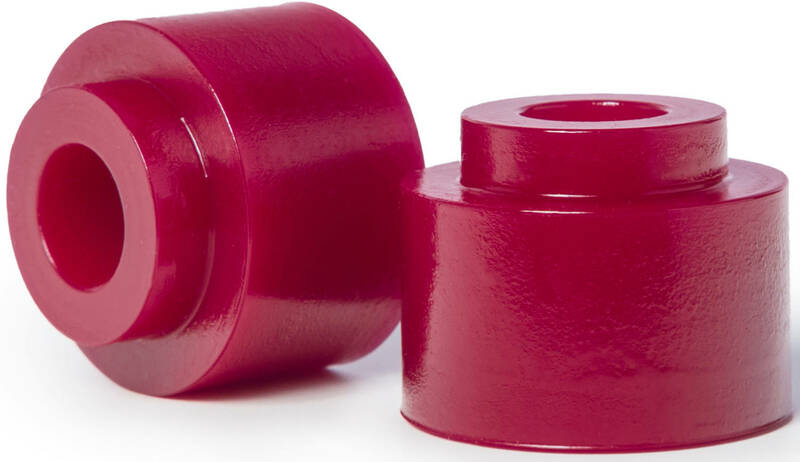 Ultra-High Rebound urethane formula makes this Blood Orange Insert Barrel Bushing strong and rugged so that it doesn't lose it's uniform leaning properties, which is essential for downhill stability while holding turns at high speeds. The Insert model here goes together with the Caliber II series trucks like a charm. And in this setup, it will help eliminate slop, with a design that makes the return-to-center a lot faster. Available here in 4 different durometers/colors for you to play around with.